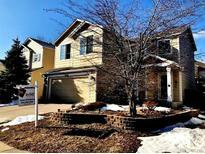 Below you can view all the homes for sale in the Highlands Ranch Eastridge subdivision located in Highlands Ranch Colorado. 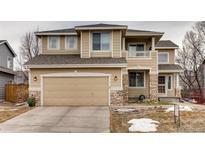 Listings in Highlands Ranch Eastridge are updated daily from data we receive from the Denver multiple listing service. To learn more about any of these homes or to receive custom notifications when a new property is listed for sale in Highlands Ranch Eastridge, give us a call at 720-606-6881. Only minutes to award winning schools, parks, rec centers, shopping, restaurants, transportation and more. Great location! MLS#7269050. HomeSmart Realty Group of Colorado. Close to I25 & C-470 with trails behind your back yard. Hurry!! ! MLS#8651376. Evolve Real Estate & Property Management, LLC. Lovely Family Home, 4 Bedrooms, 4 Bathrooms; Large Loft/Den On Upper Level To Be Used As Office And/Or Recreation; Separate Bedroom With 3/4 Bathroom, Storage And Laundry In The Basement; Newer Roof (12/2014), Newer Exterior Paint, Newer Doors And Windows; Professional Landscaping, Beautiful Blooms Spring To Fall In Front And Backyard; Easy Access To Freeway C-470 And I-25, Close To Everything, Douglas District Schools, Shopping, Restaurants; Nationally Award-winning Community With Access To 4 Recreation Centers And Backcountry Wilderness Area, With Sports, Arts & Education Classes & Competitions, Activities For All Ages From Infants To Seniors. MLS#5591193. 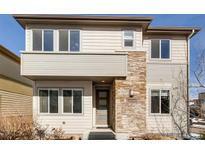 HomeSmart Cherry Creek Properties. Trails, also steps away. This home will go FAST! ! MLS#3560205. Keller Williams Realty Success.